Barça Lassa's great win against Montpellier HB (30-37) has guaranteed their place in the Super Globe final, a match against either Al Sadd or Fuchs Berlin that will take place next Friday (6.00pm CET). 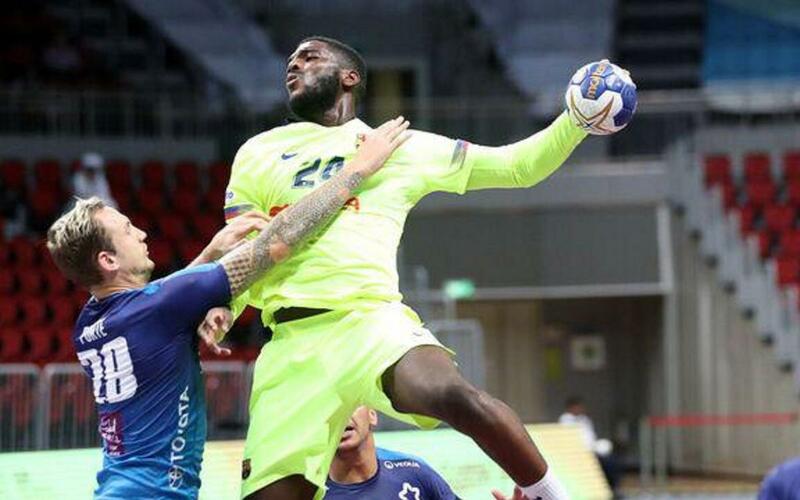 It was a hard-fought victory in the Duhail Sports Hall over the current European champions, and is the second victory against the French team in less than two weeks. Right from the first whistle, it was obvious how evenly matched the two teams were, and it took until the eighth minute for Barça Lassa to go three ahead (3-6) thanks to goals from Aleix Gómez and Dika Mem. Montpellier fought back to go three ahead themselves (17-14) with five minutes left of the first-half, but Xavi Pascual’s men reached half-time in the lead (19-18) thanks to two swift counter attacks. The second half followed the same pattern until the 48th minute when Barça pulled away again (27-31). Montpellier tried to react, but the blaugranes held firm. In the last few minutes, the French side went all out, but they only succeeded in leaving spaces for Barça to take full advantage of, increasing their lead to seven points (30-37) at full-time.